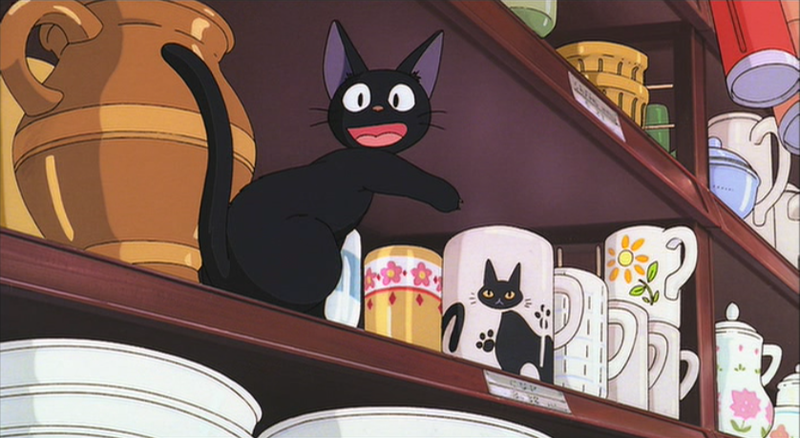 Hmm…I find myself rather underwhelmed by Kiki’s Delivery Service. The film features a solid story and spectacular animation, but it failed to click with me. Perhaps your humble blogger is to old for it? 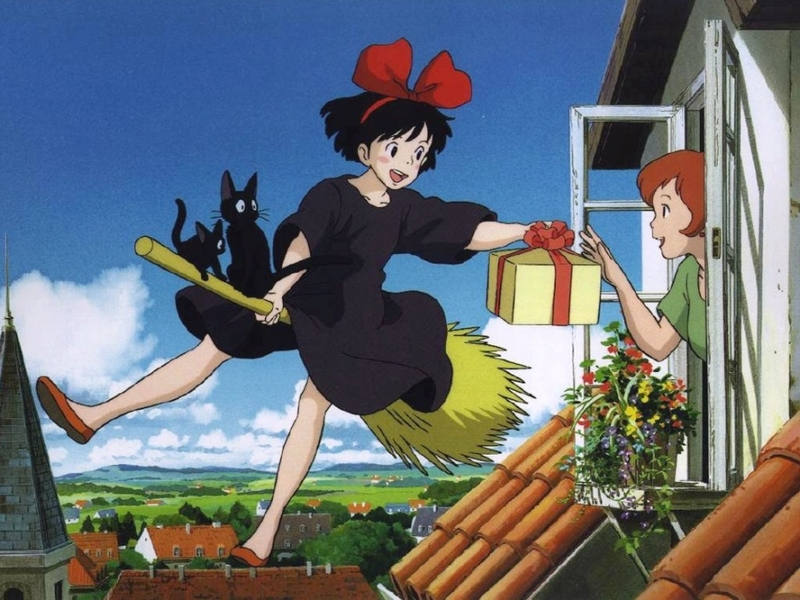 The movie is essentially a coming of age story, where an adolescent witch named Kiki must find her own town in which to reside. She discovers the city of her dreams, some good friends, and many obstacles to overcome. The characters all stand as very likable. Hence, this is a solid film, but not too appealing for me. *Spoiler Alert* Kiki’s loss of her magical powers stood out as my favorite part in the movie. I found her conversation with the artist during this trial especially interesting. The artist compared magic to the creative impulse, saying that God is responsible for inspiring our hearts and that art as well as magic must be original. And so, this is a wonderful movie for children, adolescents, and their parents. But, in my case, I had a lack of identification with most of the characters. It needs to be more otaku-ish for viewers like me, I suppose.